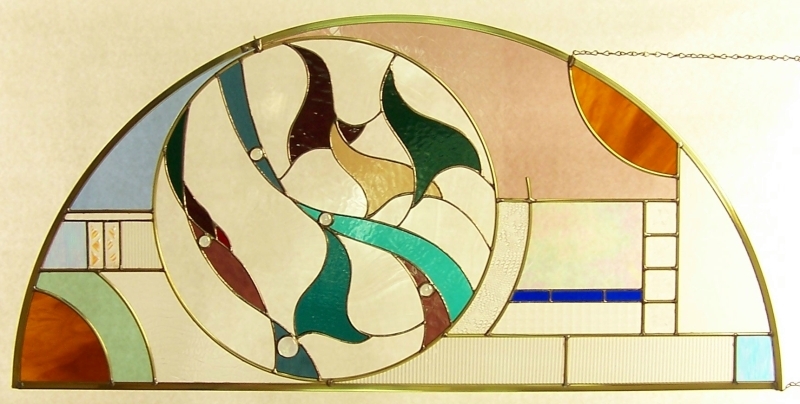 MODERN DESIGNS - These designs represent Ron's most recent work, incorporating abstract elements and unusual textures of glass. 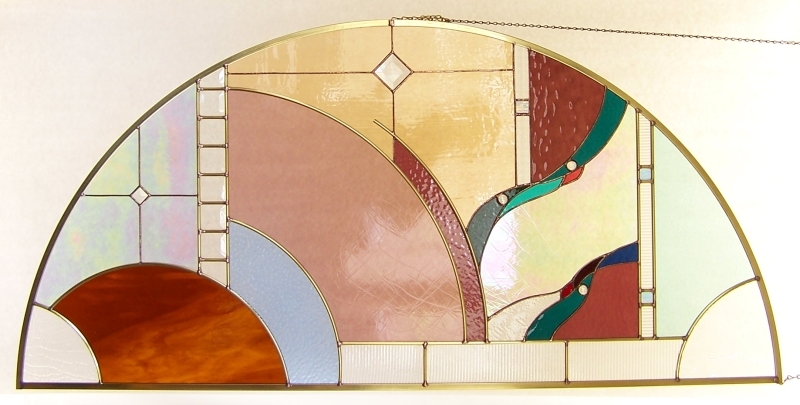 These pieces are constructed using a combination of copper foil and brass came. 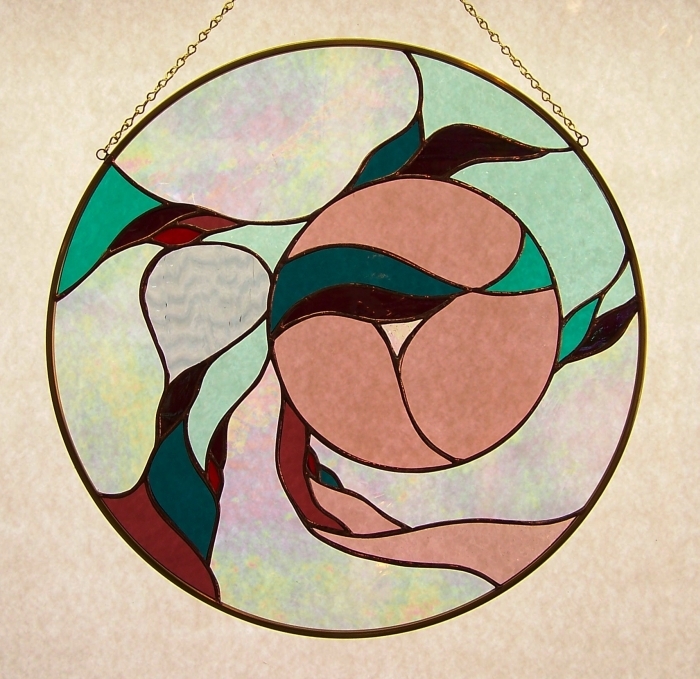 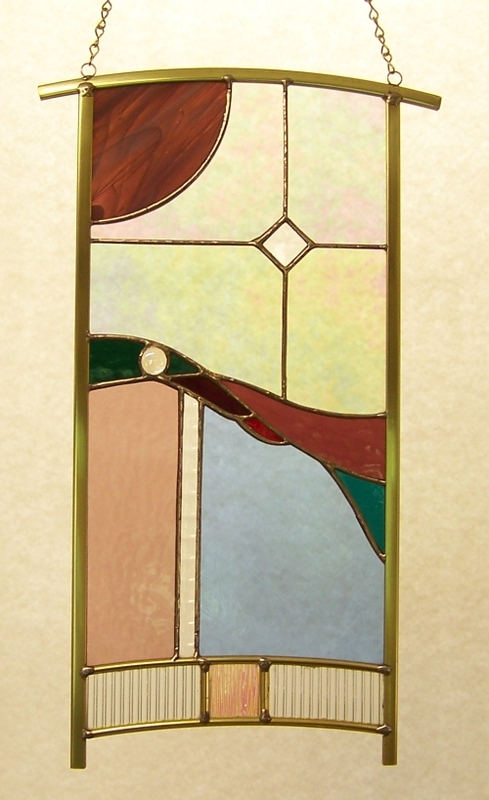 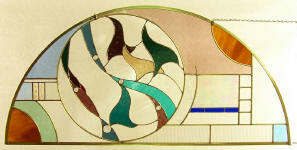 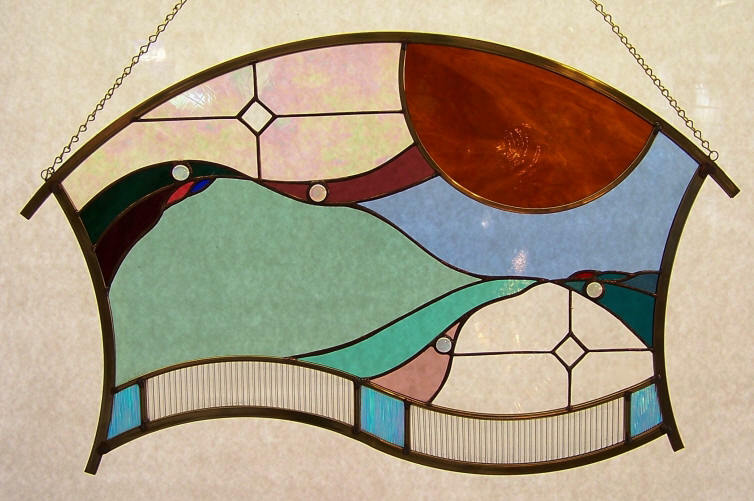 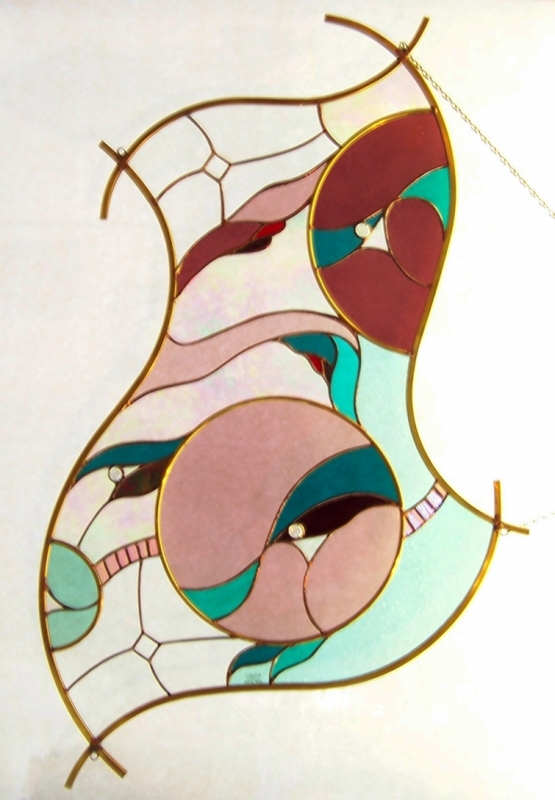 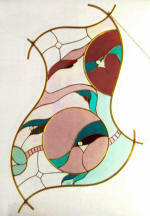 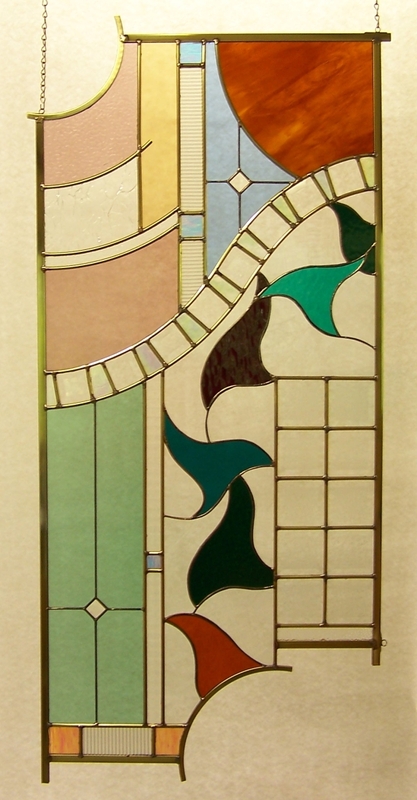 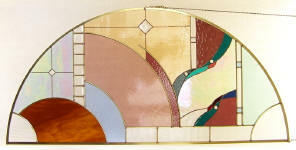 Many of the pieces have added interest due to their irregular shapes and the use of fused and dichroic insets.